When it comes to healthcare, flooring is more than just a finish. As HCM Interior Designer Heather Flannery will tell you: the right flooring brings both form and function to a facility. 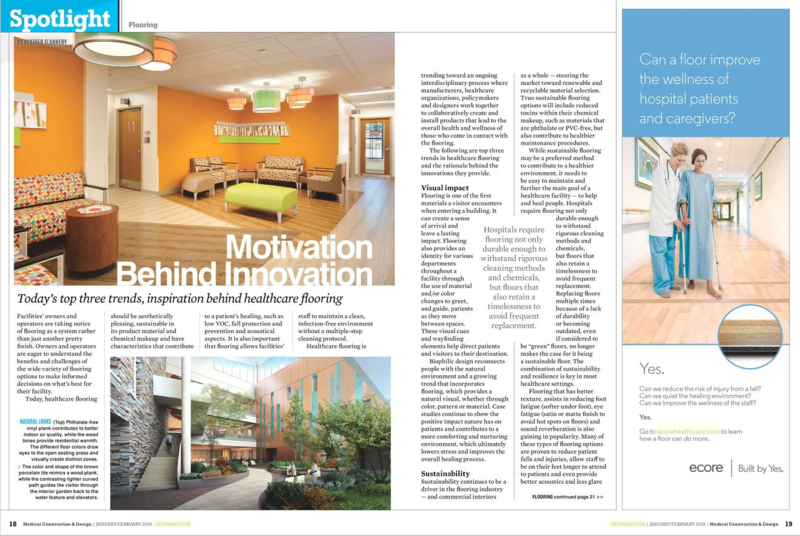 Click here or the image below to read Heather’s article in Medical Construction and Design covering the latest trends in healthcare flooring!